Chico's Cantina, Key West Restaurant on Stock Island Chico's Cantina is truly a fine place to enjoy a wide array of mexican food. Chico's Cantina has been opened since 1984, and is popular not only with the locals but with the tourists as well. It was their Fajita's that first brought people to their Mexican Restaurant and after they branched out and customers began tasting the new specials, Chico's became one of Key West's Favorite Dining Restaurant Hot Spots. Zagat Rating of 23 for food, 21 for Service! 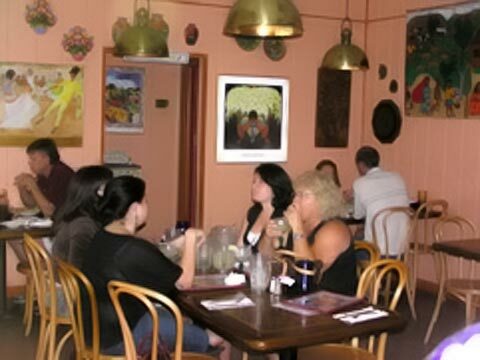 Florida's Living Magazine voted "Best Mexican Restaurant in Key West" Winner of The People's Choice Awards for Best Mexican Restaurant in Key West 12 Years Running Located at mile marker 4.5 just over the bridge from Key West, Chico's offers the finest fajitas, chicken, beef, shrimp and vegetarian food. Chico's serves regional, mexican specialties not likely to be found in other restaurants. Chico's also specializes in serving the finest freshest local seafood, prepared in a variety of mexican styles. To top this all off, Chico's has without a doubt the best Staff! They are fast, friendly, efficient and fun! !